This week’s blog is being dedicated to the final graduate works of Miss Chelsey Flood. Chelsey is studying a BA in Fashion Design Technology Womenswear at the London College of Fashion; a course that provides you with the 'technical, creative and professional skills needed to succeed as a fashion designer in the competitive womenswear market'. Chelsey’s inspiration for her SS14 collection, entitled ‘Americana Destruction’ came from her love for the American way of hope. Growing up, Chelsey visited many areas across the United States of America and the one thing she noticed they all had in common, was “the optimism of the people “ and “their passion to follow the American Dream”. 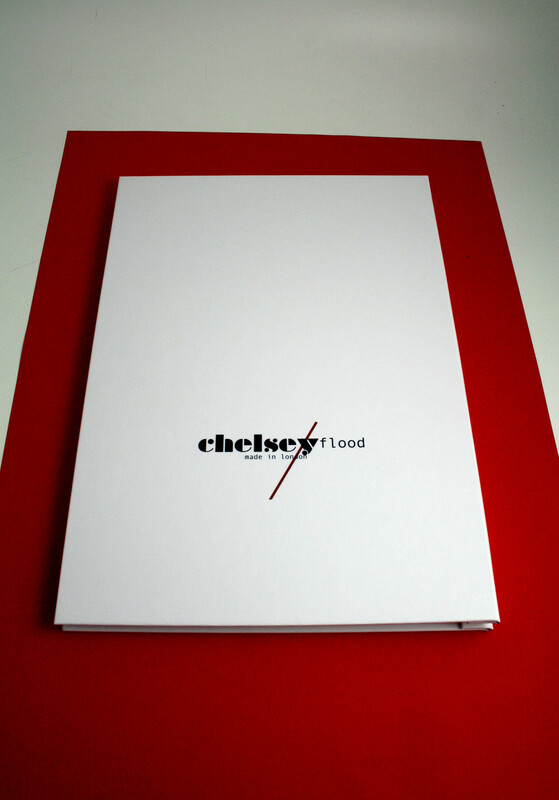 Our bindery worked with Chelsey to collate her illustrations by using Screw Post Binding. The beauty of screw post binding is that it leaves you with the ability to change or update your portfolio by adding, and or, removing pages. We disguised the screws on the outer by using a hard case cover that we printed and laminated. The screw posts are then revealed on the inside spine amongst each page. The pages throughout Chelsey’s portfolio comprised illustrations that were motivated by images from her childhood holidays in America and, photography synonymous with typical American suburban households, supposedly portraying the American dream. The imagery created an aesthetic of nostalgia and naivety. To ‘destruct’, as the title suggests, the notion of the perfect dream, Chelsey used juxtaposing imagery such as Guantanamo Bay; a place which lies so close to the land of dreams –America, yet endured so much suffering. A final inspiring and emotive fashion portfolio from Chelsey, let’s hope the London University were as impressed as we were.